This week's halloween tutorial is totally inspired by (aka my very best attempt at recreating) this amazing bleeding heart cake by London bakers, Lily Vanilli. They posted a guide on how to make these cakes on their blog (which you can see here! 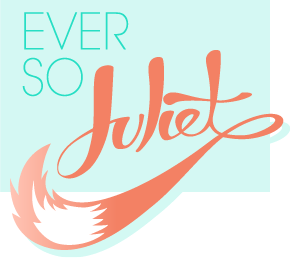 ), but I thought it would be helpful to make my own version with step-by-step photos. Once you've made your cupcake batter (you can see step by step cupcake instructions here), add a couple of drops of food colouring (I used red.. which came out really weirdly orange, but it works for halloween! ), and stir into the mixture. Spoon into cupcake cases, and then use either a bit of tinfoil or baking paper to stick between the case and the tin. This means your cake will bake in more of a wedge shape, which is helpful for these hearts! Bake for 15-20 minutes, then when they are ready, put them on a cooling rack and leave them alone for half an hour. Roll out a lump of red fondant (remember and dust the surface/rolling pin with icing sugar beforehand so it doesn't stick!) until it looks big enough to cover a cupcake. Take the cake out of its wrapper, splodge a little buttercream on the bottom and place in the middle of the fondant. Now, this does look tricky (and a bit rubbish) but remember, there is light at the end of the cake tunnel! Start wrapping the fondant up and over the cake, squeezing the edges together when they reach the top. You want to create three funnels (meant to be the arteries) so don't join it all perfectly, instead let it fold in on itself (like in the left and middle photos). Don't worry about any folds or creases in the sides of the icing, they'll make the heart look much more realistic. 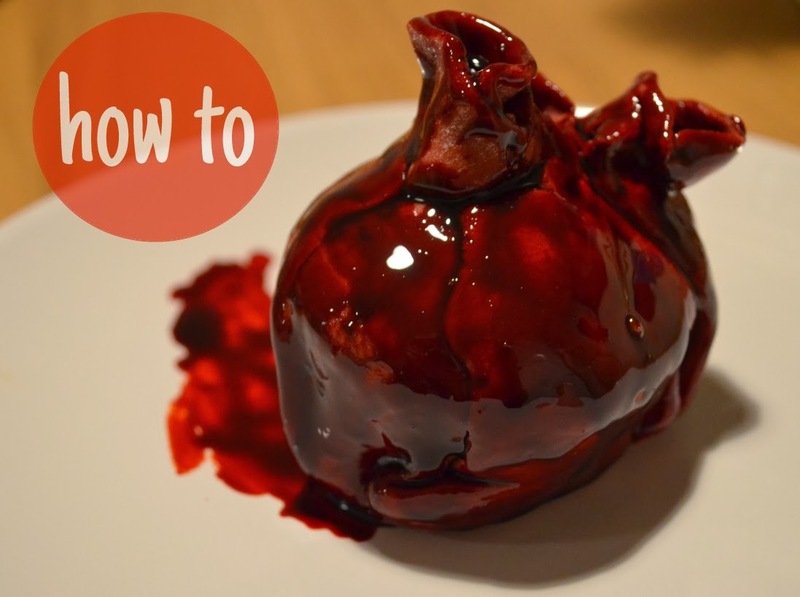 Just use your fingers to shape the top of the heart, give more definition to the arteries, and make sure the fondant feels nice and secure around the cake. If it looks a bit rubbish, do not worry! Food colouring will fix everything. 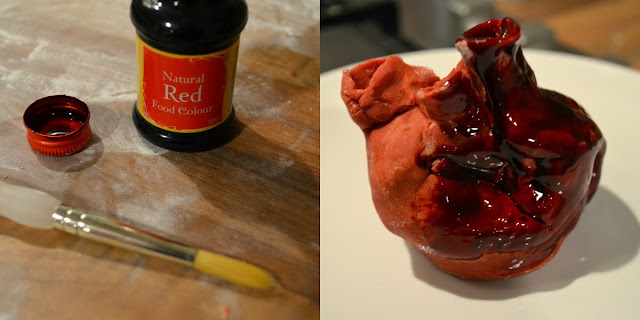 I mixed red food colouring with a spot of cherry jam to make a gloopy paste, which I painted onto the cake. Make sure you get it into all of the cracks and creases - and look how much it transforms the cake! Smear a bit of the cake blood around the bottom of the heart. Mmmm, gore! Serve with an evil laugh. Enjoy! They look really effective - do you end up with red hands when you eat them from the food colouring? You will definitely need a fork! This is awesome!!! Really impressive Halloween treat. (I work in cardiology so am really loving it haha). 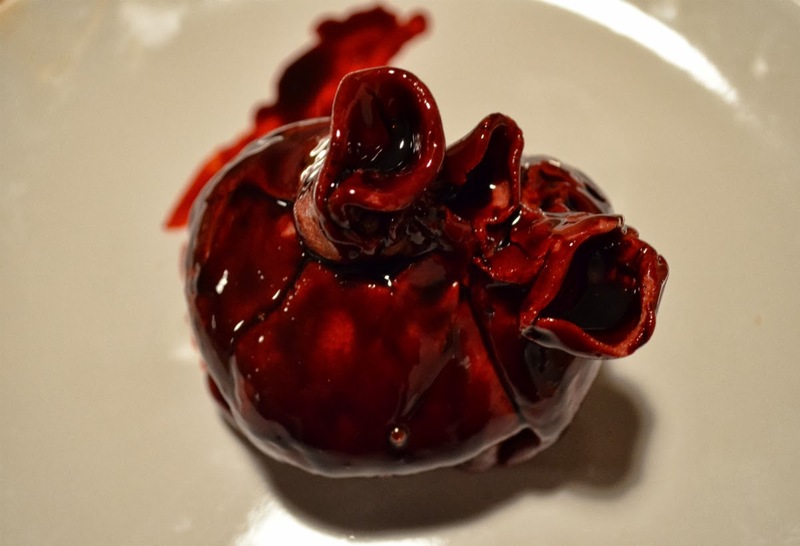 So amazingly gruesome I'm not sure I would actually be able to eat it...and it's cake, so that's saying something!